Have You Ever Stopped and Wondered if Your Pet is Covered by Your Car Insurance During a Car Accident? The decision to take your precious pooch or furry feline on a car ride could end in the misfortune of a vehicle accident. The question of whether your pets are covered in the event of an automobile collision may never have crossed your mind, but should it occur, what would your policy provide adequate cover for injuries and would you be compensated for vet bills? 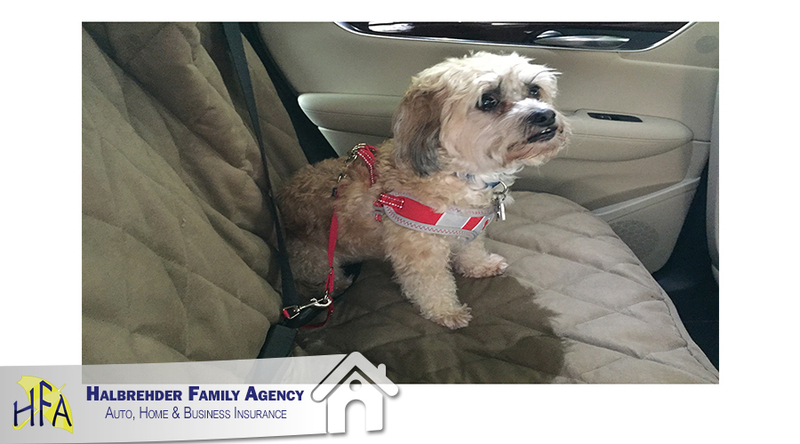 A regular vehicle insurance policy will not provide specific coverage for pets. In the market of insurance, if you wish to ensure that your dogs, cats and other creatures are protected while traveling in your car, a specialized pet insurance must be purchased to settle any veterinary bills owing to injuries. While the pet cover provides peace of mind that animals are protected, if you are not prepared for such devastation, there may be a way to claim for damages from a traditional insurer. The coverage for the injuries or the loss of pets owing to a car crash depends on the type of policy you own and whether you or a third party are responsible for the incident. Policies vary from full comprehensive to minimum state liability insurance depending on where you live. A fully comprehensive car insurance includes all the bells and whistles, from protection for personal damages and losses to third party coverage regardless of who is at fault. In such instances, your pet could fall under the category of personal property according to your policy. You could claim for damages including the costs of veterinary bills or the loss of your pet. The approval of a claim will provide compensation that you could use to settle these expenses. Minimum liability insurance will only cover the costs for damages or losses of a third party. Unfortunately, you are liable to settle the outstanding debts for any personal injuries, asset damage or loss. To determine what is covered and policy limitations, it is important to contact your insurance provider to learn about the extent of coverage. In cases where pets unfortunately pass owing to the impact of an accident or extent of injuries, the procedure to claim for compensation is more complicated and lengthy if you are not at fault. To receive a settlement for pet loss and pain and suffering, an injured party may have to take the driver responsible for the accident to court. Proof of damages including distress and the cost for the purchase of the animal or age and health are taken into consideration. For most comprehensive policies, you may be able to claim for pet losses or injuries if you were not the cause for the accident. An insurer of the negligent party will be liable to settle outstanding compensation according to property damage and loss. Whether your pet is injured or perishes in the vehicle collision, the costs for vet bills or the cremation must be presented to the insurance company of the driver responsible for the incident. If you and your pet suffer the unexpected trauma of a vehicle collision, car insurance and car accident compensation may be pursued within a limited scope. Have You Ever Stopped and Wondered if Your Pet is Covered by Your Car Insurance During a Car Accident? Our pets are family members also.